Industry jargon can often sound like a foreign language to those outside the industry and the moving industry is no different. Below are some commonly used terms and phrases that you might run into during the move process. Whether you're talking with your move coordinator in the office or with your mover on move day, knowing these few terms can be very helpful with clearing up any confusion you might have. Bill of Lading (BoL) - Your Bill of Lading (BoL) is the final contract for your move, which outlines the tariff rates, terms, and any additional charges for your move. 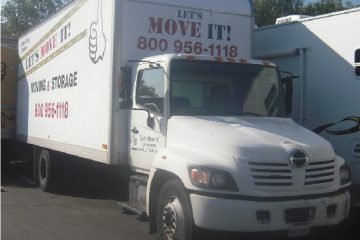 It will typically be presented on the day your mover comes to load your belongings onto the truck. It's very important to read and understand your BoL and if you're confused about anything, don't hesitate to ask your crew leader or call the office to clear up any confusion. Shuttle - A shuttle is often needed when there is limited access for large moving trucks around the property that you're moving into or out of. Most moving companies do have extra charges for the use of a shuttle, which serves to cover the costs of the extra truck, as well as the labor required to move things from the larger truck to the shuttle truck. Full Pack and Unpack - Although packing services aren't typically a part of the basic move package offered by most companies, almost any moving company will happily arrange to pack your boxes for you. The "full pack" and "full unpack" means that you'll barely have to lift a finger for your move. We'll come out and safely package everything in the house for you, anything from pillows to fine china. There obviously are benefits to using a professional packing service, but if you have the time, packing your own boxes is an easy way to save money on your move. Delivery Window - If you're moving locally, aside from very large moves, your pick up and delivery will all be done on the same day. If you're not moving locally, a delivery window is often needed. The window you're given will usually just consist of the first possible delivery date, and the last possible delivery date. For long distance moves, your mover will typically have more than one shipment on the truck. Coordinating deliveries between all these shipments is why your mover may need some leeway when it comes to the actual date that your goods are delivered. Be sure you're clear on what your agreed upon delivery window is with either your driver or their office staff before your movers show up to pick up your belongings.